Thank you, Race director Ian! 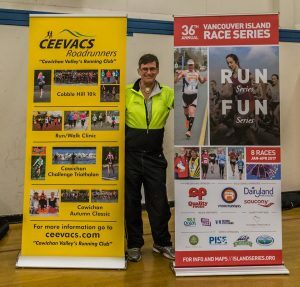 The second race in the Island Race Series, Cobble Hill is situated in the beautiful Cowichan Valley. 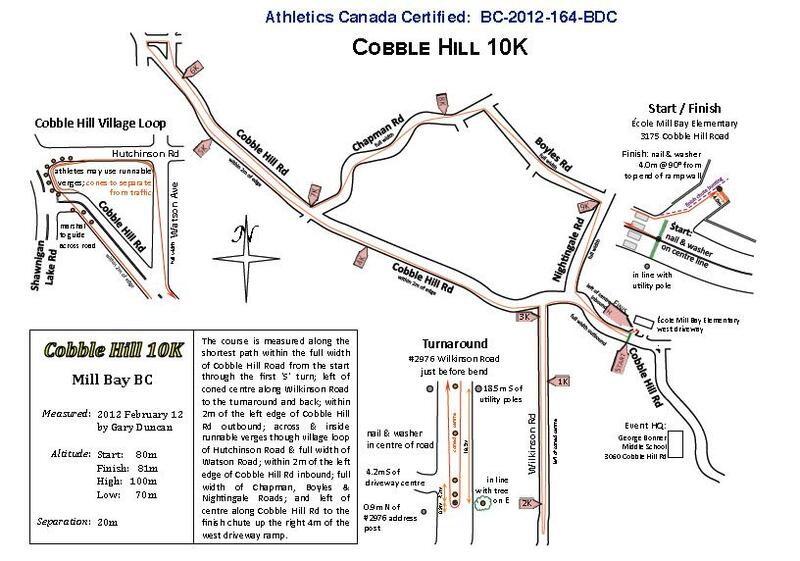 The course is scenic and flat, run on country roads around Cobble Hill. It has produced some fast times for many runners. 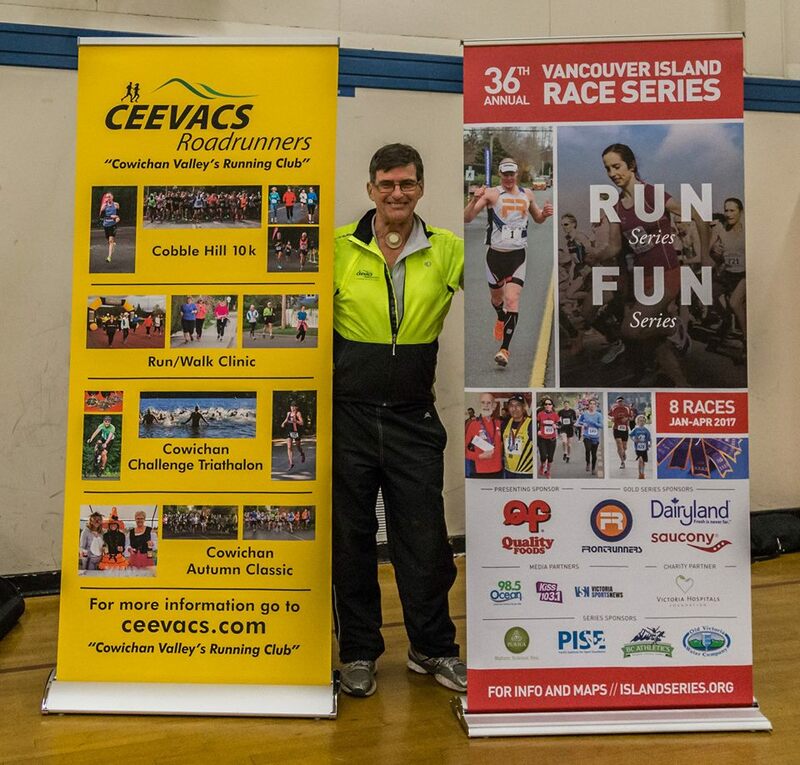 Hosted by the CEEVACS Road Runners, course records are 30:46 (Geoff Martinson) and 34:44 (Cheryl Murphy).